One of the most abundant greenhouse gases, carbon dioxide is a major culprit behind today’s global warming and climate change issues. One way of tackling the problem is trapping carbon emissions right at the source. This, however, gives rise to the problem of storing and reusing the carbon sucked from the air. 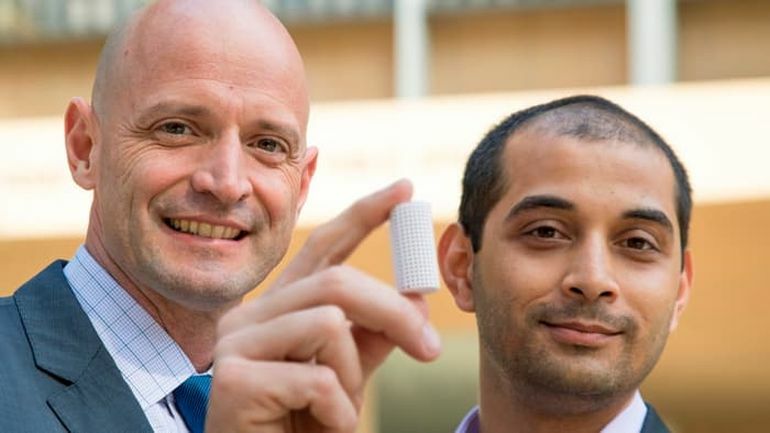 As part of a new research, the brilliant minds at UCLA have come up with an innovative solution: capturing atmospheric CO2 and turning it into 3D printable concrete. What this technology does is take something that we have viewed as a nuisance — carbon dioxide that’s emitted from smokestacks — and turn it into something valuable… This technology tackles global climate change, which is one of the biggest challenges that society faces now and will face over the next century. The approach we are trying to propose is you look at carbon dioxide as a resource — a resource you can reutilize. While cement production results in carbon dioxide, just as the production of coal or the production of natural gas does, if we can reutilize CO2 to make a building material which would be a new kind of cement, that’s an opportunity. For the research, the scientists started by trapping carbon dioxide generated during the calcination of limestone. The process, according to them, is one of the most common ways of creating cement in factories. The captured CO2 was then used to produce a new type of concrete they are calling CO2NCRETE. The team went to determine how Ca(OH)2 (calcium hydroxide) carbonation would react upon exposure to liquid as well as supercritical carbon dioxide. We can demonstrate a process where we take lime and combine it with carbon dioxide to produce a cement-like material. The big challenge we foresee with this is we’re not just trying to develop a building material. We’re trying to develop a process solution, an integrated technology which goes right from CO2 to a finished product. We have proof of concept that we can do this. But we need to begin the process of increasing the volume of material and then think about how to pilot it commercially. This technology could change the economic incentives associated with these power plants in their operations and turn the smokestack flue gas into a resource countries can use, to build up their cities, extend their road systems.